We were delighted to maintain our entry in the prestigious Top 50 gastropubs 2018 in January. 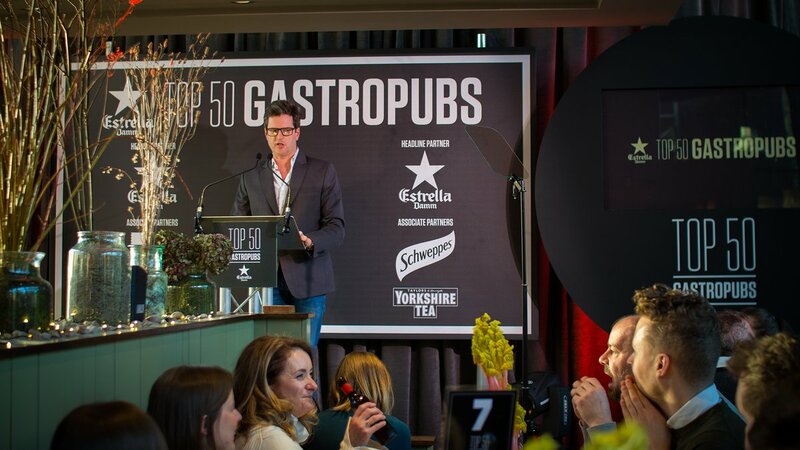 The event this year was hosted at Andrew Pern’s Star Inn the City in York,and the top 50 rankings revealed after a delicious lunch with very warm Yorkshire hospitality.There was a real party atmosphere and was a great way for us to kick off the new year after a very busy December. Very proud to reveal we are currently ranked Number 14. You can check out the whole list HERE . To read a lovely article about us in the wake of the event,written by Jane Hall in the Journal please click HERE. Thanks again to all of our customers for your valuable support throughout the year.